Making the whole greater than the sum of its parts is a massive cultural, leadership and process challenge, writes Fold7's chief executive. Agencies can be a conservative lot when it comes to structural innovation. So Procter & Gamble's marketing chief Marc Pritchard has decided to shake things up a bit and announce not one but three new agency models. Perhaps the most intriguing is his "People First" amalgamation of talent from roster agencies, brought together to service the FMCG giant’s North American fabric care business. The notion of competing agencies working together may sound awkward, but it’s something that many agencies will have experienced at one point or another. For as long as I can remember clients have asked trusted agency leads to form an advisory group, or tasked rostered agencies with tackling a business problem together. And in recent years it’s become fashionable for holding companies and mini-groups to form bespoke client teams from across their agencies. "Horizontality", "brand teams", "power of one" - different names, similar idea. Where Pritchard’s approach departs from the status quo is in making the client the point of integration, rather than an agency or holding company. 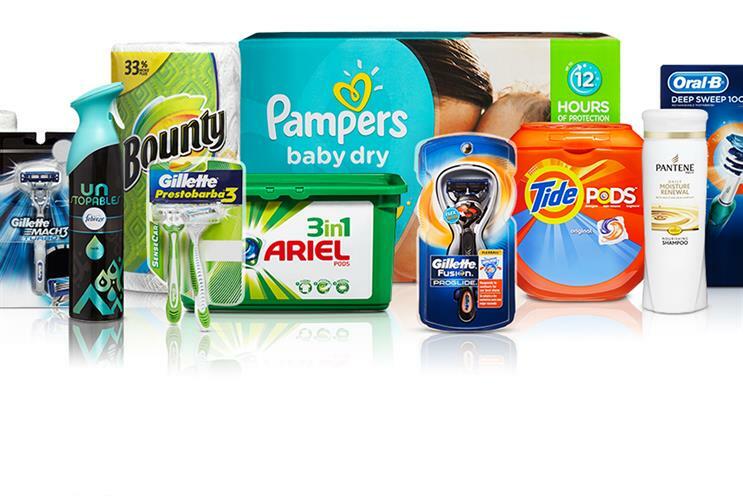 According to his Monday announcement, P&G is cherry-picking talent from across its agency roster and using them as the basis of a brand-new agency directed solely at its needs. The brand’s ongoing drive for efficiency will be the primary rationale for this approach and, for those reasons, it’s not entirely illogical. But the bigger question is whether this model can produce great work. If it does, then this is an innovation worth talking more about. If not, it’s little more than a bureaucratic play. At this stage, as with Pritchard’s declaration on the ideal account-team- to-creative ratio, it leaves a lot unsaid. First and foremost: is it really that simple? Many a football manager, choreographer, curator or conductor knows that hiring star talent is just the beginning. Making the whole greater than the sum of its parts is a massive cultural, leadership and process challenge. It’s what we are tasked to do as agency leaders and it’s what distinguishes one agency from another. For an in-house team to be more than just a collection of freelancers, there’s real work to be done to foster the ambition, bonds of trust, shared assumptions and ways of working that underpin the best agencies. That takes time. It also takes a smart commercial underpinning and some clear parameters from the get-go. There is a natural competitive instinct among agencies which is of course crucial for survival in this industry by seizing opportunities to sell and stretch our services. But that attitude can inhibit collaboration among competitors. After all, who wants to give their best if they think the guys across the table are going to benefit rather than your own agency? How will the client incentivise the right behaviours to ensure that business opportunities are maximised not just for the client but for the participating agencies? In this scenario it’s incumbent on the client lead to lay the ground rules in advance and define the remit of the participating agencies. In so doing, they will create a safer space for collaboration and transparent relationships which should become a defining feature of the culture in the long term. A final consideration is to remember why agencies work so well in the first place – different perspectives, diverse inputs, dissenting voices, a broader cultural grounding – these are often the basis of the best work out there. An organisation founded by the client should therefore not be dictated by the client, which Pritchard appears to have recognised in appointing Saatchi’s Andrea Diquez to head up his venture. Diquez’s first challenge will be to define a clear cultural blueprint which fosters the right environment of respect and generosity. For this pilot and any future iterations to work for all parties, they should build a sustainable model for effective collaboration, not just efficiency.